This is one of my favourite things that Dennis has done. 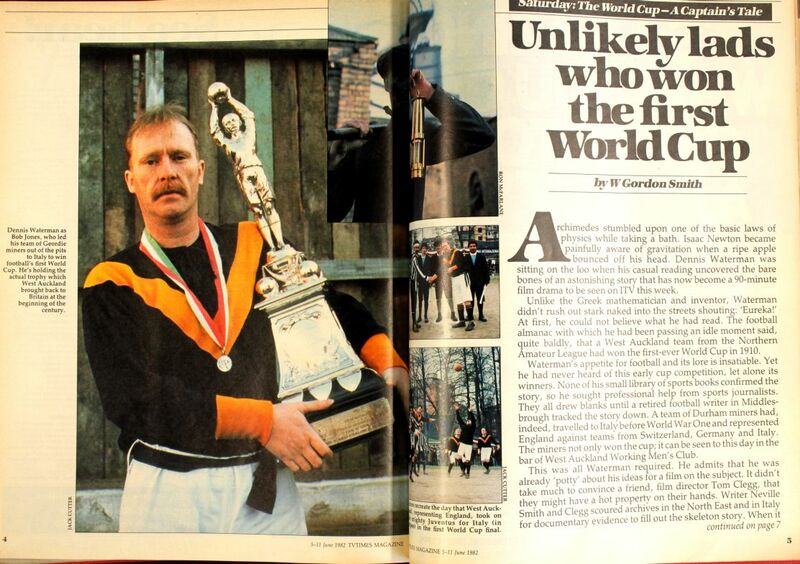 It was shown on ITV just before the 1982 World Cup. The cast included Andrew Kier, Nigel Hawthorne, Tim Healy, Dai Bradley (Billy Casper in Kes), Mark Wingett (Carver in the Bill), Richard Griffiths, Ken Hutchison, Derek Francis (The Sweeney episode-Down to you Brother) and Hugh Fraser (Cpt Hastings in Poirot). 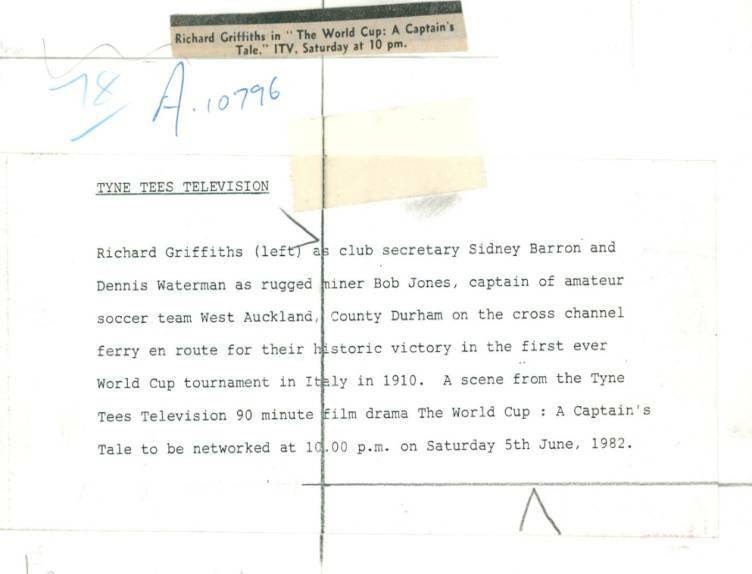 For people who haven't seen it, it's about West Auckland who won the First World Cup. Sir Thomas Lipton had the idea of a football competition between clubs from different countries. Italy, Germany and Switzerland sent their best professional teams. Sir Thomas Lipton invited West Auckland, a team of miners who played football in their spare time, to represent England. They won the cup twice, in 1909 and 1911, the second time they beat Juventus 6-1 in the final and kept the cup forever. I remember watching it and it was weird to hear Dennis speaking in a North East accent! I haven't seen this since 82! I thoroughly enjoyed it. A great story, well told and acted. I missed it in 1982 but saw it on a satellite channel in the 90s. I have this but has been on 'the watch' list for about urrrm, 10+ years! 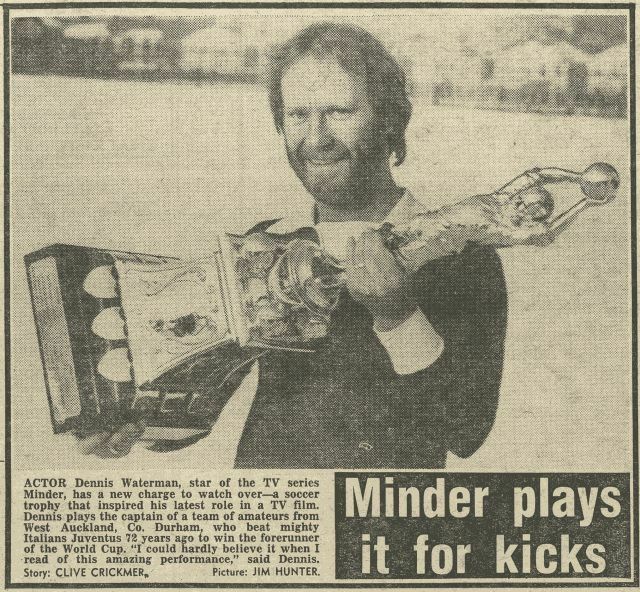 With it being on around when 'Minder' was on I have quite a few newspaper and magazine bits on it. Eeek, chatting to you guys I could book 3 months orf just to catch up on me telly! Right now I have so many simultaneous shows on the go it's mental! Yes it was good, and Dennis's North East accent was interesting! 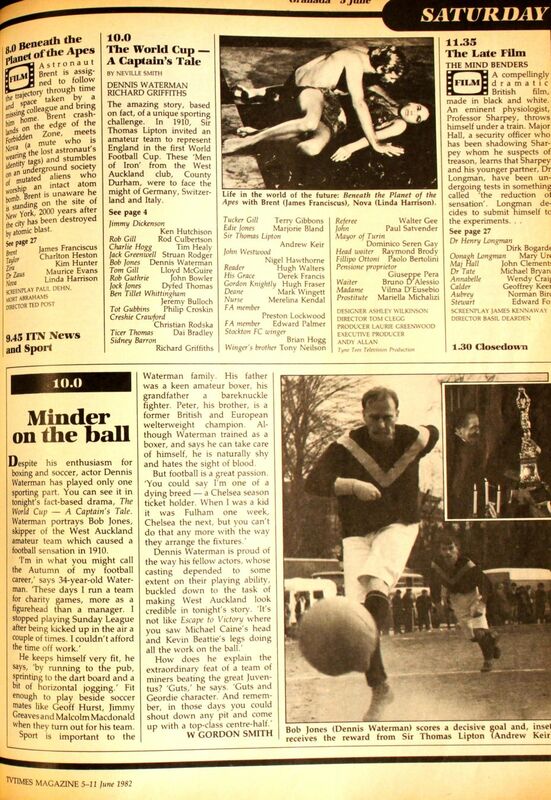 Two more little press snippets on this one - both from The Daily Mirror. Duly downloaded! Thanks for posting dsc. This was a good bit of TV. Some really good actors helped turn this great story into a quality bit of television. 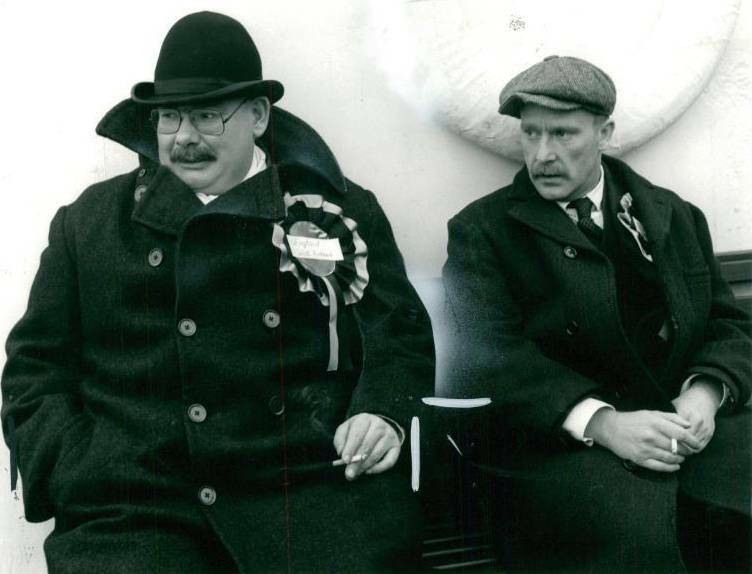 I wonder how Dennis and Richard Griffiths got along with each other. Richard was certainly a memorable actor.